To guide you on whether to choose Cebu Pacific or Jet Star Airways for your flight from Manila to Singapore and vice versa, below are the important things to consider to help you decide. Since both are budget airlines and priced almost the same, the points below are crucial in helping you decide which one to choose when booking a flight. To be allowed to check-in and given a boarding pass, the passenger needs to present the photocopy of the credit card used for payment of airfare. To be allowed to check-in and be given a boarding pass, the original physical credit card used must be presented IN PERSON by the owner of the credit card to verify the booking while checking in at the check-in counter of Jet Star Airways or at the MIASCOR office at the airport. Passengers are allowed 7 kilos carry-on baggage. But the 7 kilos limit EXCLUDES additional items on board such as handbag, coat, laptop bag, camera bag, cane and crutches (for Senior Citizen and/or Person with Reduced Mobility (PRM) guests). They only weigh the carry-on luggage to see if it's within the 7 kilos limit but do not weigh your handbag, laptop bag, camera bag, etc. You are therefore, allowed more than 7 kilos. Passengers are allowed 7 kilos carry-on baggage, which includes all that you will bring in to the cabin. You are required to have everything weighed and tagged. Otherwise, it will not be allowed on board. For more details, see my post: JETSTAR AIRWAYS: Are they Enforcing the Strict Carry-on Bag Weight Policy for Economy Class Passengers? The fare offered for the new date of flight is the same for both new passenger and rebooking passenger. 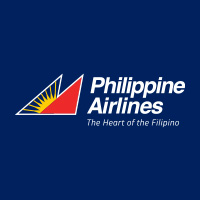 This means that if you go online and buy a new flight worth, for example, 5000 pesos, the same cost of flight is offered to the rebooking passenger. The rebooking passenger only pays the difference in fare from the original booking + a rebooking fee. This means, if the old fare of the rebooking passenger is 3000 pesos, the fare difference with the new fare is 2000 pesos. Therefore the rebooking passenger pays 2000 pesos + the rebooking fee. The fare offered for the new date of flight for the rebooking passenger is MORE EXPENSIVE than the fare offered to new passengers. Although they provide a way to rebook flights, when you compute the additional cost of rebooking, it is always more expensive than buying a new flight for the same route. It's always better to buy a new flight than to rebook an existing flight. 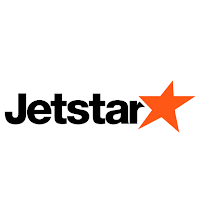 This policy shows Jet Star totally discourages rebooking of flights. Unless Jet Star airfare is so hugely discounted compared to Cebu Pacific, I will prefer to book Cebu Pacific flights rather than Jet Star Airways because of the reasons I discussed above.